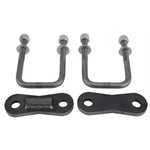 This 1935-48 Ford front U-Bolt kit from Posies is for use on our Traditional T-Frame 715-4800. It doesnt get any simpler than this! 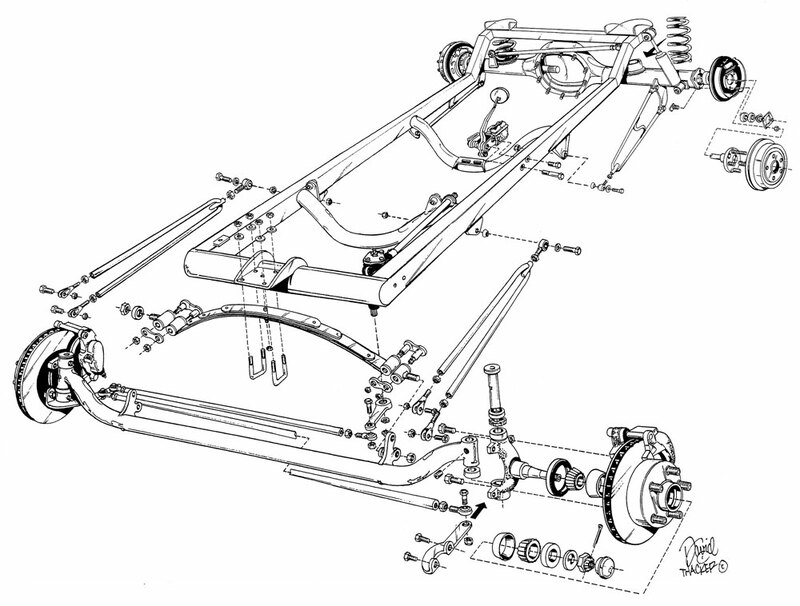 Our most basic T-bucket frame is engineered for a simple and economical coil spring rear suspension with traditional-style radius rods. 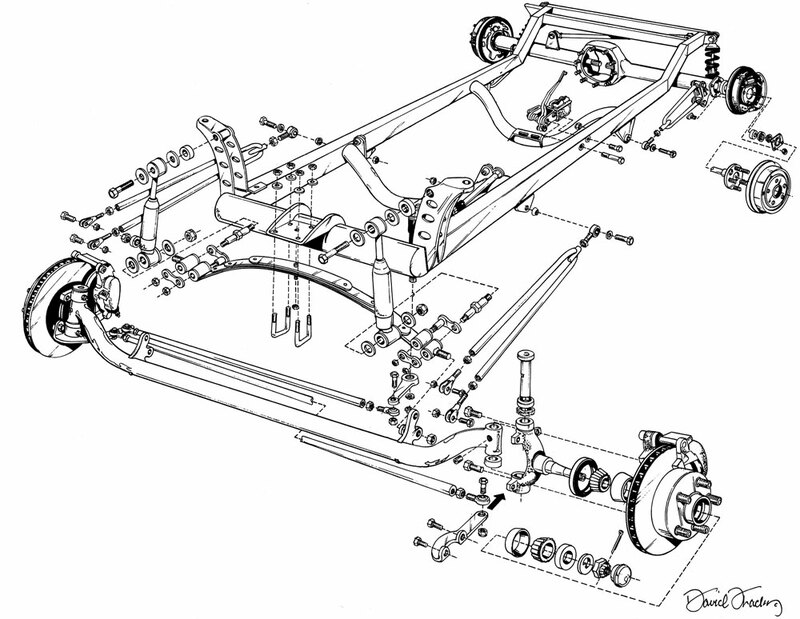 The front suspension is our time-tested transverse-leaf, spring-behind-axle setup with hairpin-style radius rods. 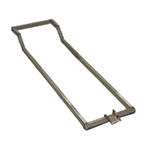 Designed for the do-it-yourselfer, this frame has no front shock mounts - you can fabricate your own or choose from those offered by Speedway! Shown with optional rearend and engine mounts installed. 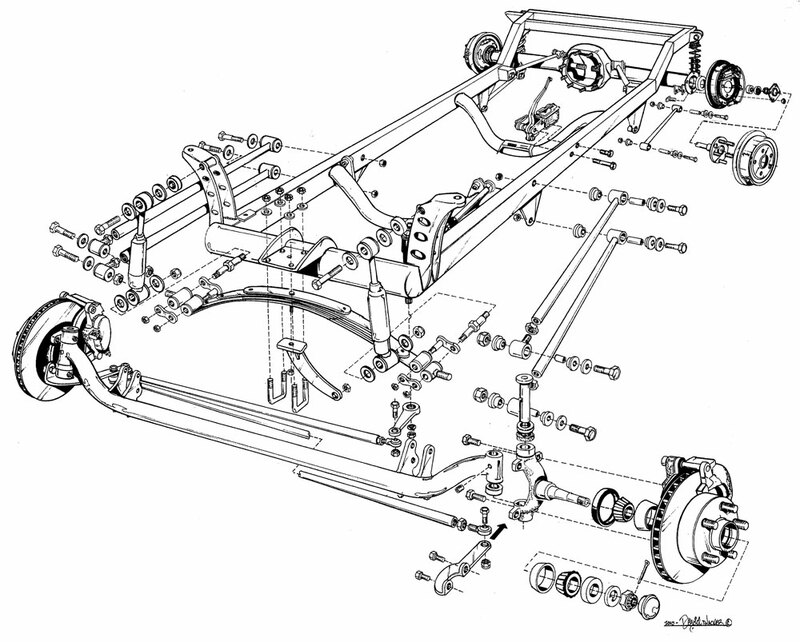 This part number does not include a rear axle housing or engine/transmission mounts (as pictured). 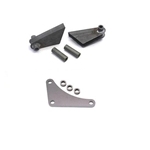 If you wish to add these items to your chassis, simply purchase these items along with your frame kit. All of our T kits are also available with chrome suspension. This option includes chrome plated: front and rear hairpins, rear coilovers, front axle, front leaf spring, front shocks, steering arms, tie rod, drag link, and related hardware. This item requires a 3-4 week build time. 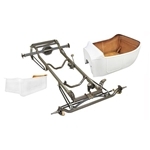 The all new Deluxe T frame is engineered to deliver the ultimate ride and handling of any T-bucket chassis! An exclusive triangulated four-bar rear suspension with coilover shocks and urethane bushings provides unparalleled adjustability and traction control, plus better ride quality than any other T-bucket chassis on the market. 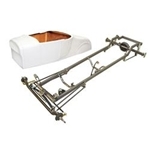 Its paired with urethane-bushed four-bars supporting the spring-behind-axle front suspension. The Deluxe 23 T sets a new standard for the next generation of T-buckets! This product requires a 3-4 week build time. 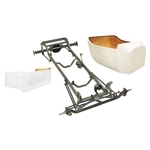 The Nostalgia T frame is engineered to provide the ultimate in economy and ease of assembly. It features the same spring-behind-axle front suspension as the Budget T, but includes front shock/headlight mounts. 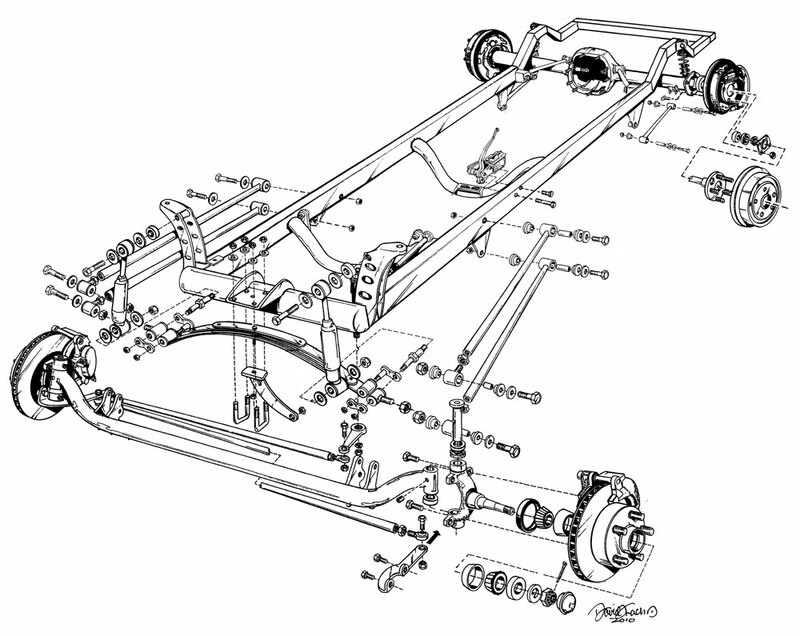 The coilover rear suspension uses traditional-style radius rods and a panhard bar, with all necessary mounts welded in place. 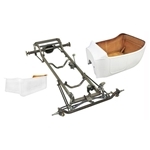 If youre looking for an affordable, well-engineered T-bucket chassis requiring only basic mechanical skills to assemble, the Nostalgia T is for you! Looking for a little more interior room and a lower profile in your T roadster? Then try our Deluxe 27 T! The all-new Deluxe 27 frame features the same triangulated four-bar rear suspension as the Deluxe T, but with a longer wheelbase and extended rear frame section to accommodate Speedways high-quality fiberglass 27 T roadster body. The body-and-frame combo can be used to build a hot rod with the same open engine bay and fenderless look of a T-bucket, but offers a lower seating position and a lot more legroom. Try it on for size! Doors are shipped hinged and latched, but they do require fitting and hanging onto the body by the owner. When ordered with one of our Bare 1923 type Model T frames, these items will be installed onto the frame you choose. Simply choose your frame and add any of these add-on items to your shopping cart, and well take care of the rest! Note: This is not applicable to the bare 1927 type frame and should only be considered and utilized with the bare 1923 frame. 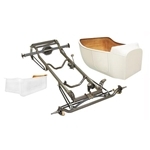 When ordered with one of our Bare Model T frames (Budget, Nostalgia/Deluxe, or Dexlue 27), these items will be installed onto the frame you choose. Simply choose your frame and add any of these add-on items to your shopping cart, and well take care of the rest! 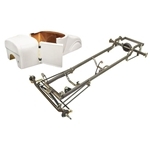 Note: This add-on option is to be utilized in conjunction with a spring behind axle configuration similar to the spring behind axle kits used with our T frame chassis kits. This is not applicable to a spring over configuration. 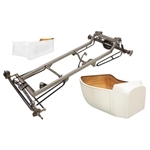 Mounts are welded to your frame when this item is purchased. 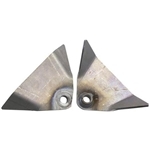 These are great for the do-it-yourself fabricator and builder. These are the same frames as our frame assemblies, but have no suspension or steering mounts installed. You can build your own or adapt components you acquire separately. 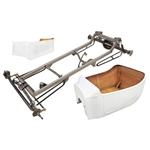 If you wish to add engine/suspension/steering mounts to your frame, simply purchase these items along with your frame.